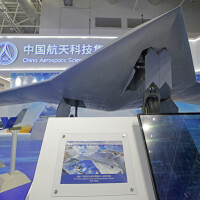 A Chinese state-owned company says it is developing a stealth combat drone in the latest sign of the country's growing aerospace prowess. The CH-7 unmanned aerial vehicle also underscores China's growing competitiveness in the expanding global market for drones. 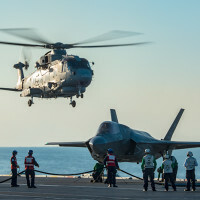 China has won sales in the Middle East and elsewhere by offering drones at lower prices and without the political conditions attached by the U.S. 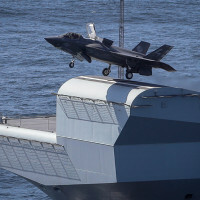 The first F-35 Lightning fighter jets landed on the deck of the United Kingdom’s new aircraft carrier last week making history and marking the beginning of more than half-a-century of ‘Carrier Strike’ operations. 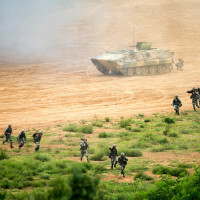 China is not an enemy, but it is certainly an adversary of the United States, and the Defense Department’s 2018 report to Congress examines the trends in Chinese military developments. 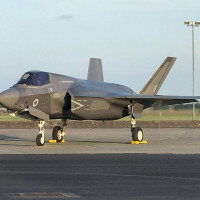 The United Kingdom has welcomed home its first four F-35B advanced fighter aircraft, which will be flown by the Royal Air Force and Royal Navy.